Recently I have been introduced to a Signature Glow Treatment by C.Michael London which claims to able to keep my skin youthful. I have not been tried any laser treatment before, so I have a little bit scared of pain. Oh well, continue reading to know whether this treatment brings any pain to me or not. What is Signature Glow Treatment? This treatment includes two procedures of treatment: Laser (Q-Switched Laser) and Facial (LASEMD). Being one of the most technologically advanced lasers, Q-switched Laser is highly effective for anti-ageing and collagen lift. 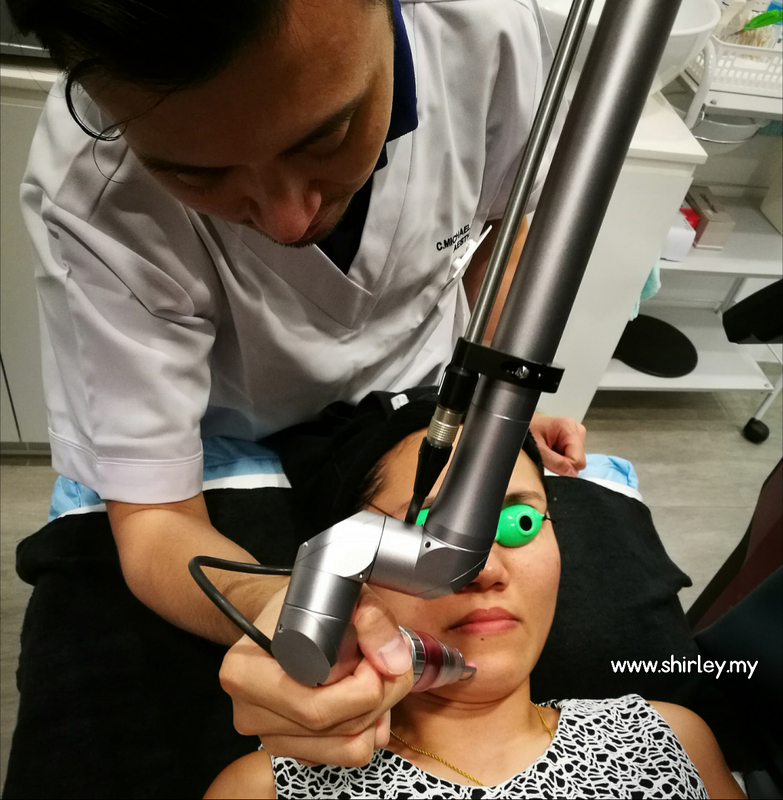 Q-switched Laser claims to be effective to combat multiple skin problems such as pigmentation, pore opening, pimples, and uneven skin tone. This process takes only 15 minutes and is safely conducted by accredited doctor. The 'Signature Glow Treatment' uses the state of the art cosmeceutical system (LASEMD) after the Laser sessions to effectively delivers the perfect skin rejuvenation procedure that accelerates cell renewal, combats free radicals, brighten and strengthen your skin. Currently C.Michael is the only one who owns this technology in Malaysia. How long does the treatement take? Before the treatment, doctor has examined my face skin and briefly explain the details of the treatment that I am going to complete. Doctor is very easy-going person and very nice to talk to. I am then brought to the treatment room by Therapist manager, Daphne. First Step: To clean and remove the make up from the skin before treatment. A clean face is required to perform the treatment. Miss Daphne is so nice and she helps to clean my face gently. ♥ Minimize thermal damage on the skin and only destroys selective pigments. ♥ Provides stable efficacy by equally delivered energy and minimize adverse effect. ♥ Softly delivers energy into deeper skin for remodeling dermis and helps you have a clear skin. ♥ Provides excellent efficacy on pigment lesions such as freckles, blemish, melasma, hyperpigmentation and complexion. ♥ Improves skin on large pore, fine line, skin tone and skin texture. ♥ Provides safe and effective treatment. ♥ Contains almost no pain and easy return to daily life. Third Step: LASEMD is a cutting edge CDS which combines a sophisticated laser system together with its exclusive line of cosmeceuticals (LASEMD Ampoules). Before this, the physician has selected the right ampoule for me. The ampoule is then been incubated and LASEMD procedure is then executed. After that, the selected ampoule is applied on my face skin. Once the procedure is done, physician applies LASEMD cream on my face skin. My face is now having a very minor redness which will recover in few hours. It is actually quite irritating but I still can bare with it. I am quite excited to see how's the result after treatment. LASMED program is actually provides less pain, no anesthesia, no downtime, fast treatment times, and continuous care from clinic to home. My Feedback: It is my first time to do laser treatment. So, actually I have idea whether it is pain or not and whether it really comes with very good results after treatment or not. Frankly speaking, it is quite some pain for me during both treatments I have explained as above. However, different people have different feeling on the treatment process so it maybe do not give you the feeling of pain at all. For me, no pain no gain. If I want to get beauty, I must bare with some pain. 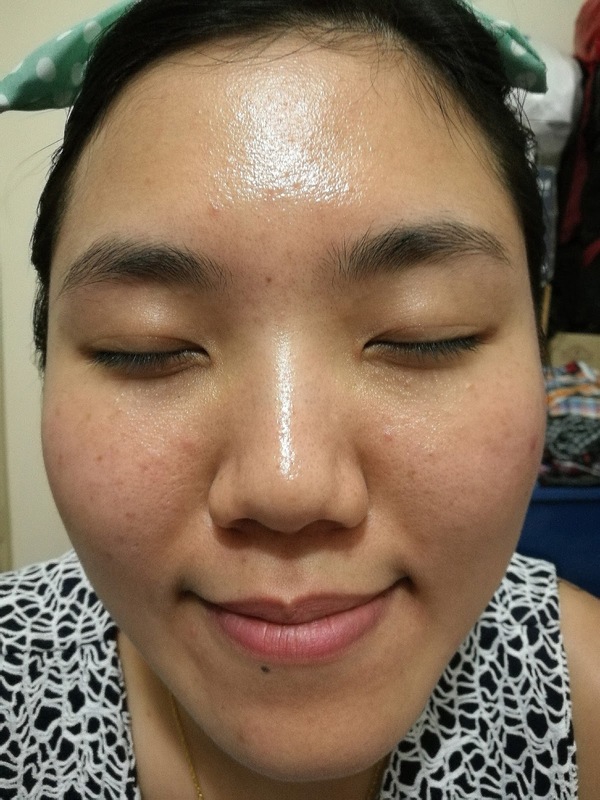 After the treatment, I have been told to apply moisturizer at night and apply sunscreen lotion at daytime. 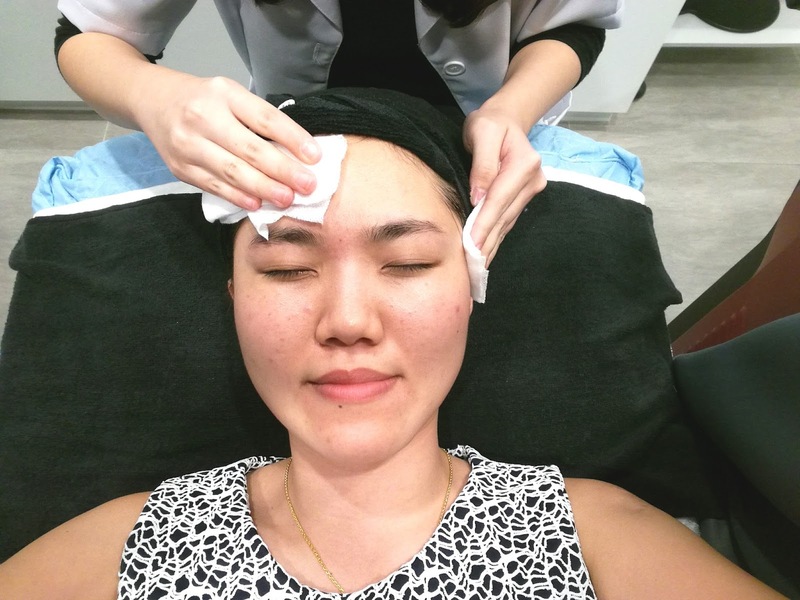 This treatment is actually improve the absorption of the face skin. So, I have been so hardworking that I get to apply my face with cream and moisturizer as my face skin has a better absorption effect right now. Few days later, I tend to feel my face skin slightly looks brighter. 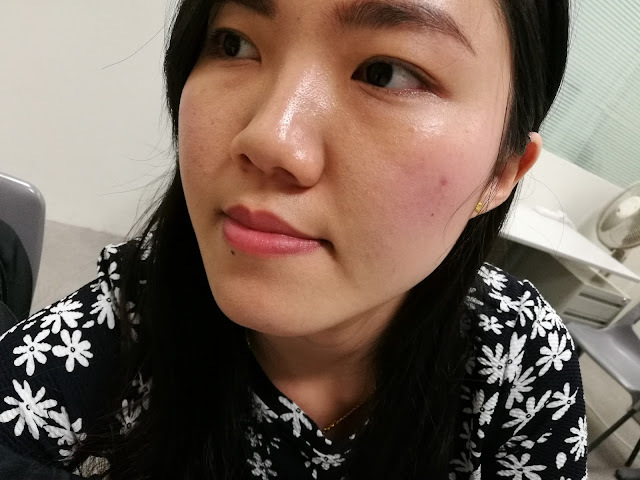 I am quite unbelievable to see my skin is in pretty good condition when I am in front of the mirror. To be frank that I used to feel that my face skin is very dry and always hard to absorb my bb cream wisely. But now, I can gently apply the bb cream on my face without any problem. I don't want to hard sale or promote this treatment but sincerely to recommend this treatment to you because I do really feel the result after the treatment. One more thing is that I think the pores on my face are getting smaller. I am not sure whether it is my imagination or not but seriously I used to see the pores on my face are not that tightened. I am now feeling so confident to myself! Really big thanks to C.Michael London. Close up picture of my face after the treatment. My sincere advise: Invest some of your money on your face is better than spending thousands on dresses or make-up or beauty products. Treat your skin wisely and you can live happily. 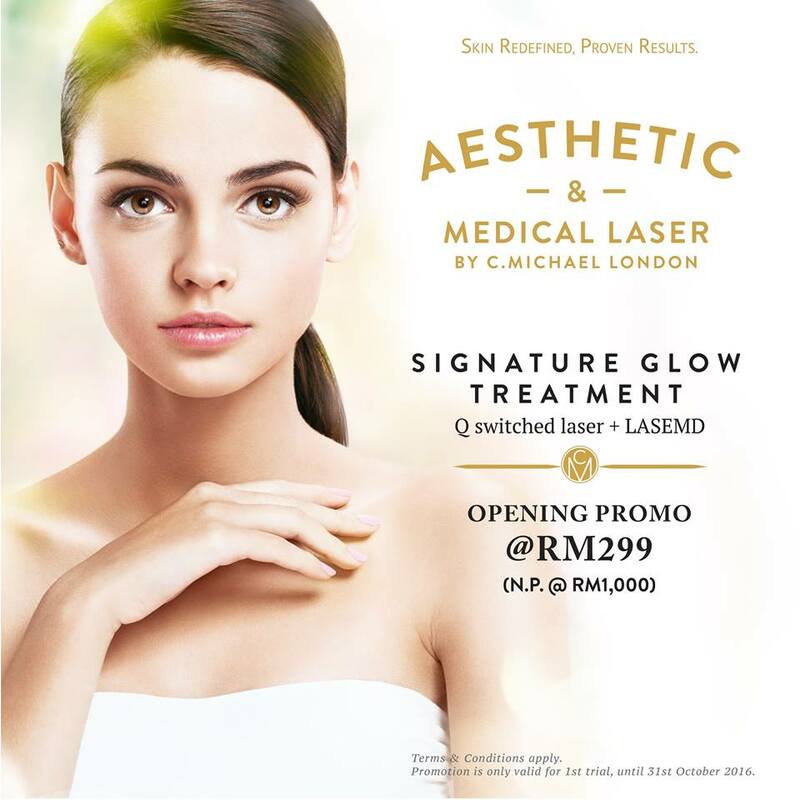 Mention www.shirley.my and show the image below to get the first trial of Signature Glow Treatment at only RM299! 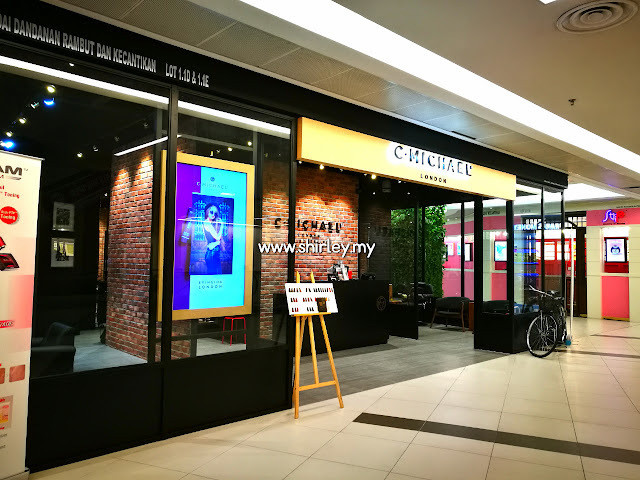 Address: L1-1D & 1E, Level 1, Avenue K, 156 Jalan Ampang, 50450 Kuala Lumpur. 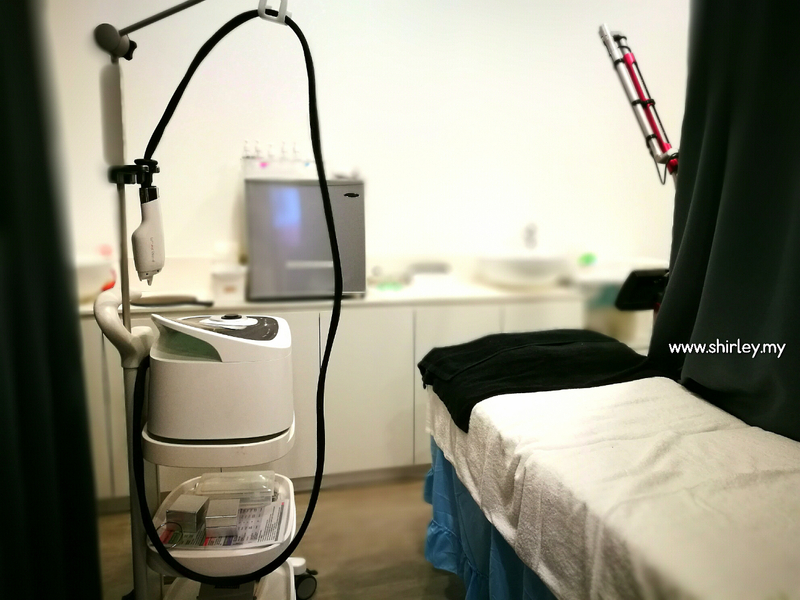 Call +603-2181 3222 to make appointment before visiting.